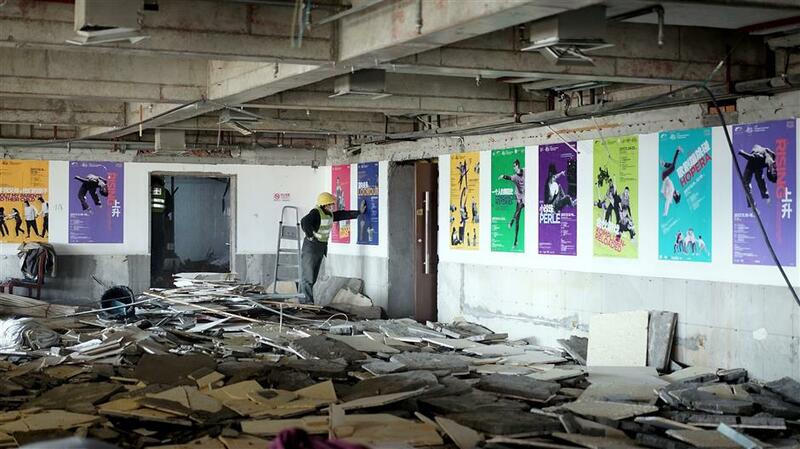 Shanghai Dramatic Arts Center is to reopen to the public after 498 days of renovation. The iconic building plans to mark the theater’s opening on May 11 by showcasing the 22nd and 23rd Zuolin Dramatic Arts Awards — named after drama maestro Huang Zuolin. The former Chinese film director dedicated his life to drama and his lifetime ambition was to establish a Shanghai theater focusing on dramatic art. Huang died in 1994, aged 88, unfortunately, and was unable to witness the birth of the theater in 2000. But spirit of his work lives on in today’s theater professionals. “We regard Shanghai Dramatic Arts Center more than just a theater but also a home. The height and the color of chairs, the marble wall and floor tiles in the hall were all carefully chosen by our staff. Combining new and old, we want to preserve the hard work and enthusiasm of previous generations of Shanghai theater professionals. "We want people to have a sense of belonging that the old audiences also used to have,” said Zhang Huiqing, general manager of Shanghai Dramatic Arts Center. A construction worker looks at old posters. 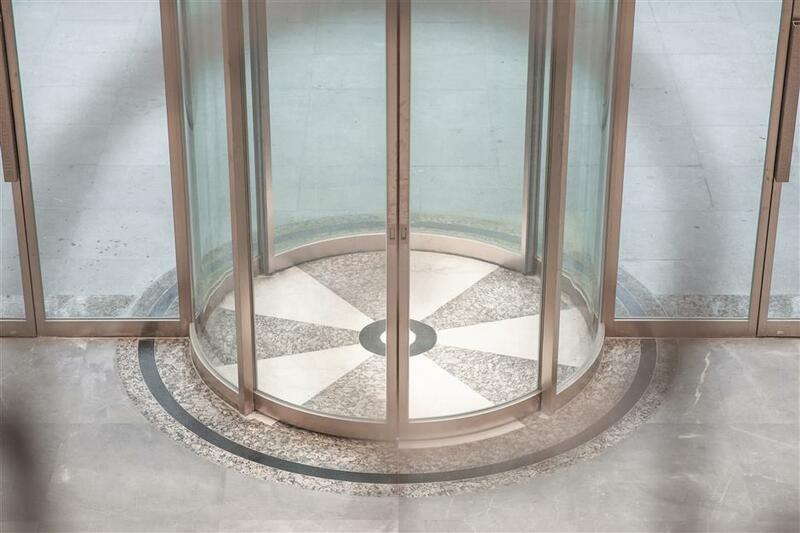 The“belly button,” the marble floor tiles underneath the revolving door, was retained. Heritage and development are the two major themes of the theater’s revamp. The center retains its Art Deco style and preserves many old objects of special significance. The round marble floor tiles underneath the revolving door, for example, remain. The two-meter diameter tiles are called the “belly button,” and around 300,000 visitors pass through it annually. Adhering to the principle of openness, the renovation created an integrated public space. 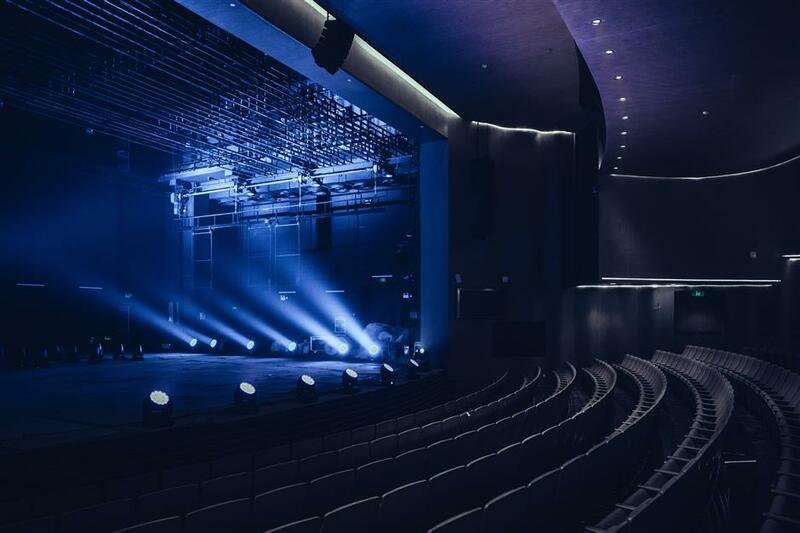 Apart from increasing the number of seats and improving facilities, such as stage machinery, audio gear and lighting, the Shanghai Dramatic Arts Center rearranged its interior space. On the second and third floor of the building theatergoers can enjoy the peaceful street view of Anfu Road in the rest zones. On the sixth and seventh floor, there are two exhibition areas. The sixth floor display showcases the history of Shanghai Dramatic Arts Center and the development of drama in Shanghai. Themed on environmental protection, an exhibition from talented Chinese contemporary artist Zhou Fan is to be unveiled on the seventh floor. The “dramatic space station” and the “play station” were also built in order to attract the theater lovers of all ages. “We think that a theater is not only a place where performances are staged at night, but more importantly, an integrated space that is open to the public all day long and allows people to experience and understand drama,” said Zhang. To celebrate its reopening, Shanghai Dramatic Arts Center will present 10 popular shows this year, including original plays “Behind the Lie” and “The Lost Opera,” Olivier and Tony Award winner “Skylight,” Jon Fosse’s “A Summer Day,” Shakespeare’s “Henry V,” the comedies “Art” and “The Piano in a Factory” and a new interpretation of “Shan Hai Jing,” a Chinese classic text about the mythic geography and myth. All the tickets will be sold at half price on Saturday (April 13). Those who are interested need to buy tickets on site.